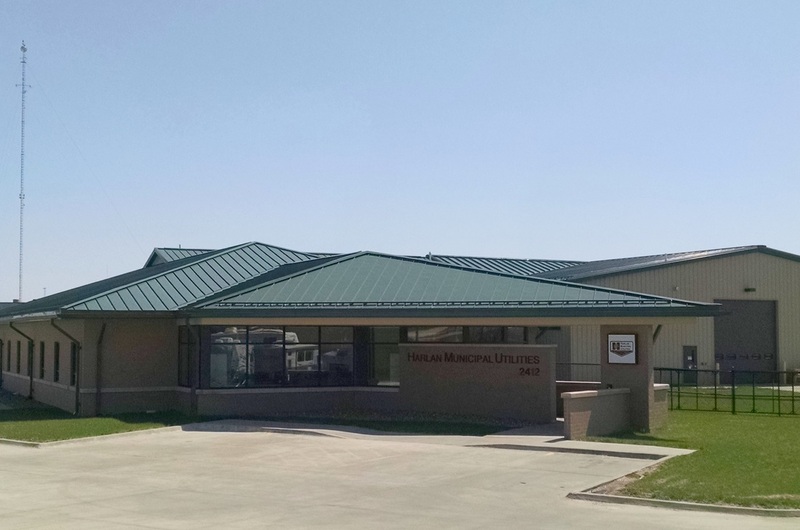 Farmers Mutual Cooperative Telephone Company (FMCTC) is a member-owned telephone cooperative specializing in telecommunications services for both residential and business customers. Since 1904, FMCTC has engaged in providing quality services. They are a full-service provider. They are an authorized AVAYA business partner, and a Verizon Wireless reseller. They serve approximately 4500 members, in 10 communities, across four rural counties in west central Iowa. They have returned almost $5.5 million in patronage to their members since 1993. With FMCTC, customers get the convenience and savings of having all their phone services on one bill. FMCTC is an AVAYA Business Partner, offering leading-edge and reliable phone systems, installation and wiring. Our telephone service area includes Defiance, Earling, Hancock, Harlan, Irwin, Jacksonville, Kirkman, Manilla, and Westphalia. Included in the monthly service is an Internet Support Center for questions and problems, a computer check-up/maintenance service, and Barracuda anti-spam protection. FMCTC offers speeds up to 8Mbps and Webmail access to retrieve email messages fast from home or away. With an always-on connection, customers always have instant access to email, the web, and IM's. Internet service area includes Avoca, Defiance, Earling, Hancock, Harlan, Irwin, Jacksonville, Kirkman, Manilla, Panama, Portsmouth, Shelby, Tennant, Westphalia, East of Minden Rural, NW Audubon County, South Crawford County, and SW Carroll County. Customers get the most popular major networks---ESPN, FOX News, CNN, The Disney Channel, The Weather Channel, Big Ten Network and many more with FMCTV. Plus, all the local channels like ABC, CBS, NBC, and FOX are included no additional cost. Get up to 60 channels for exciting sports, 24/7 news, comedy, as well as movies and award-winning original series on three premium movie channels HBO, Cinemax, and Showtime. A community channel covers local events, church services, government meetings, and AHST Vikings, Harlan Cyclone and IKM-Manning high school athletics. FMCTV service is weather proof, and there’s no need to buy additional equipment. Cable service area includes Defiance, Earling, Hancock, Irwin, Jacksonville, Kirkman, Manilla, Panama, Westphalia, and Cresthaven, Ridge Road, and Kingwood Lane housing developments. FMCTC is an authorized Verizon Wireless Reseller and offers customers the convenience of Verizon Wireless phones, plans, and phone accessories at their FMCTC Harlan location. FMCTC’s Community Phone is an affordable, no-contract alternative to its Verizon Wireless cellular phone service. Harlan Municipal Utilities was founded in 1891 as a public water and electric utility and has over 120 years of experience providing Harlan critical utility service. The natural gas utility was added in 1955. HMU serves about 2,400 electric, gas and water customers. In 1995, HMU was tasked to build and offer telecommunication services to improve local service and lower costs. Cable TV via hybrid fiber coax was launched in 1995 making HMU one of a select few municipal utilities in Iowa to offer all four services. Internet service was added in 1996. Over 170 channels in standard and High Definition are available as well as PPV and digital music channels. As early Internet users languished with dial up service, HMU customers were some of the first in the nation to experience the blazing speed of 1.5 meg cable modems. HMU received national attention for installing a state of the art, and one of the first in the US, Metropolitan Area Network (MAN) connecting schools, government and the hospital within a fiber loop. HMU launched voice service in 2001 serving residential and commercial customers. HMU customers receive 120 minutes per month in free long distance service plus numerous free calling features. ICN provides high-speed Internet, data, video conferencing, and voice (phone) services to authorized users, under Code of Iowa, which includes: K-12 schools, higher education, hospitals, state and federal government, National Guard armories, and libraries. When you need communication that works, delivered by real experts that live and work here too, call Marne Elk Horn. METC specializes in providing Internet, TV and Voice communications, as well as being an agent for Verizon Wireless. METC has 100 years of history and experience and they put it to work for their customers, especially when it comes to broadband Internet. Broadband has quickly become the lifeblood for business and residential customers, and METC provides the best, most reliable product in the area. METC can help you with your computer network and make computer repairs too. If your business needs a phone system, they can help you with that too. METC serves customers in Atlantic with Internet services and customers in Brayton, Elk Horn, Exira, Kimballton, and Marne with Internet, TV and Voice services. This is a competitive business and METC is a competitive company. Give them call today. Mediacom Communications delivers a wide array of products and services including digital cable TV, 12Mbps and 20Mbps high-speed Internet, and telephone. Additionally, Mediacom offers many advanced services such as; Video On Demand (VOD), High-Definition Television (HDTV), and Digital Video Recorders (DVR). Because their digital network provides all products and services over one platform, customers have the convenience of dealing with one company and one bill for their cable TV, High-speed Internet, and phone services. Mediacom customers connect to the Internet through a high-speed cable modem that links your computer to Mediacom's fiber-optic coaxial cable network. By splitting the coaxial cable line that comes into your residence, you can access the Internet without any phone lines. democratic governance and operation at cost allows them to return to consumer-members revenue above what is needed for operation. Members of Nishnabotna Valley Rural Electric Cooperative share in the benefits of doing business with the Cooperative. One benefit comes in the form of capital credits, or patronage dividends. The capital credits you get are revenues in excess of expenses to operate the REC. Patronage dividend notices are mailed to members each April to indicate how much money was allocated to them for the previous calendar year. Each member's share is in proportion to the net electric margins they generate. Patronage dividends are returned to members on a 20-year roll. Iowa law also allows a percentage of the current year's dividends to be returned. While retained by Nishnabotna Valley REC, allocated patronage capital contributes to the Co-op's equity and strengthens its financial position. Annually, the Board of Directors reviews the financial position and determines whether a percentage of the current year's allocation may be paid to the members without jeopardizing the cooperative's financial stability. Members of Nishnabotna Valley REC have received over $4.2 million in patronage dividends since the Cooperative began in 1936. Windstream offers home telephone, high speed internet, and Dish network television in Harlan, Panama, Portsmouth, and Shelby. Services can be bundled for easy payment on one bill. Phone: Unlimited nationwide calling. Is available in all communities except Harlan and Tennant. ​​Is available in all 11 communities.